Many of you know W1SFR from the End Fed random wire antennas that have become very popular with QRP ops around the world. The antenna design is not new and has handed down by many hams over many years, but Steve has managed to create quite a following due to his attention to construction and only using the best of materials…all at a very reasonable price. 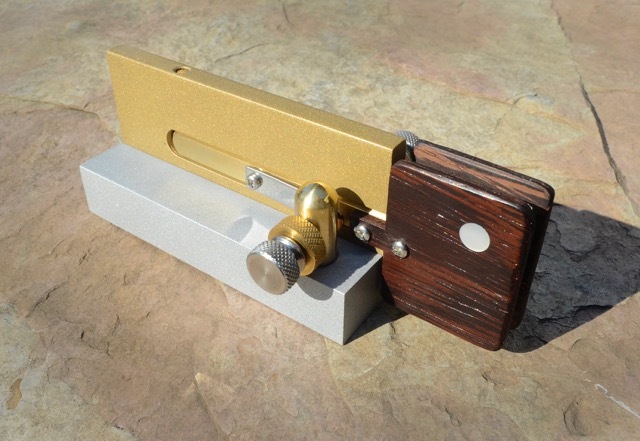 Now he has applied that same attention to detail and high value to his new “TBP” (Torsion Bar Portable) key. Torsion bar keys use a unique combination of construction and design to provide the CW op with a different experience…one that users are saying very good things about. All of his keys feature a contact system that allows the key lever to make a “softer” contact allowing the very slightest movement when the contact post hits the stainless contact. That not only makes the key feel less “mechanical”, but also makes it much more quiet…a feature these keys are known for. The new portable key follows W1SFR’s TBKII, a single lever key and the TBSK, a torsion bar straight key. You can see all of the keys at W1SFR.com. Note: Steve also tells me that he lowered his prices for the Christmas season and has decided to extend them for the month of January. Click here to check out his product line. This entry was posted in Announcements, News, Portable, QRP and tagged CW, Keys, Portable Torsion Bar Key, W1SFR. Bookmark the permalink.